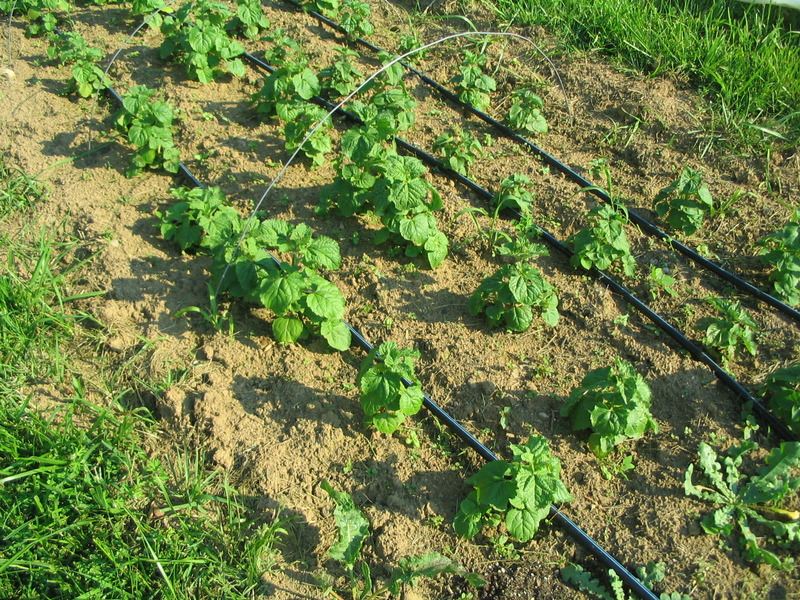 A week ago we had a few nights of temps in the high 30s, and since our garden is in a low area we got a little frost. We were not completely prepared for it, unfortunately. 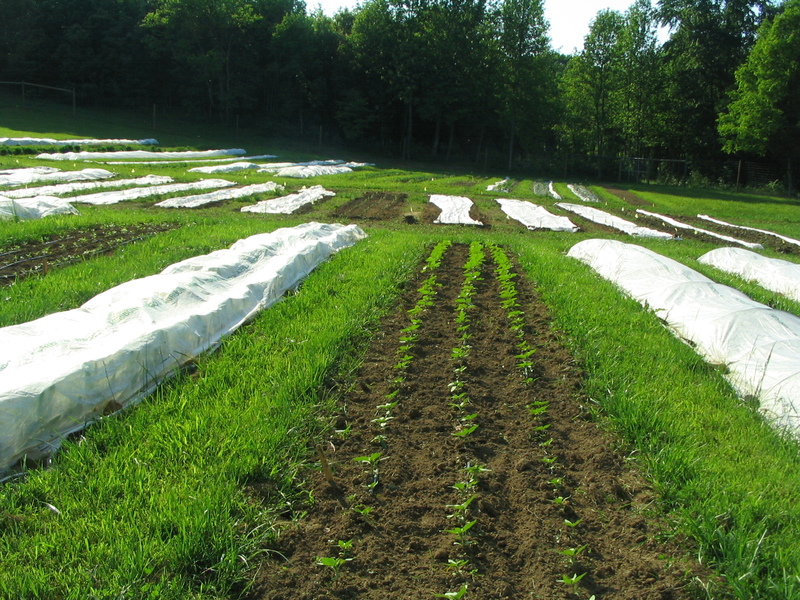 We didn’t see frost for the whole month of April, so we had slacked off a bit on protecting everything with row cover. 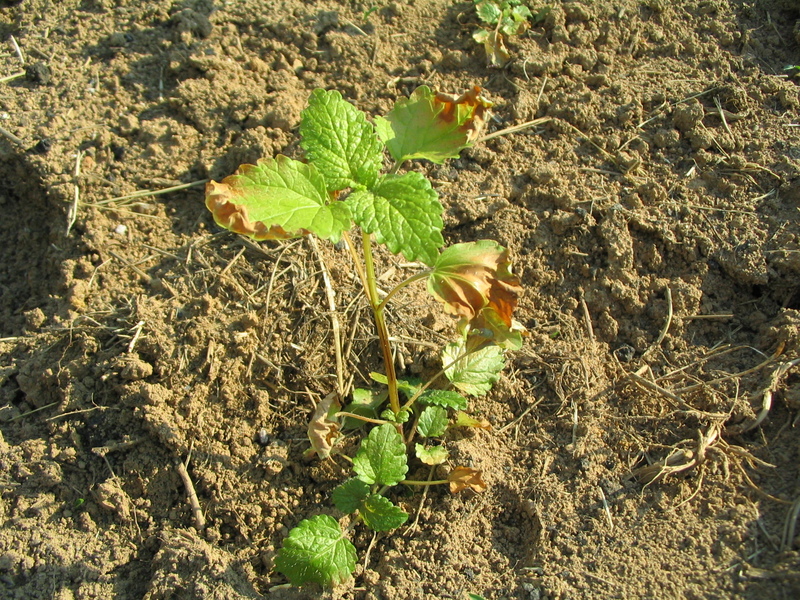 Of course I had just finished planting many trays of young plants, like this lemon balm, and they all got a little frostburnt. Luckily very few of the plants actually died. Most will just be slightly delayed. 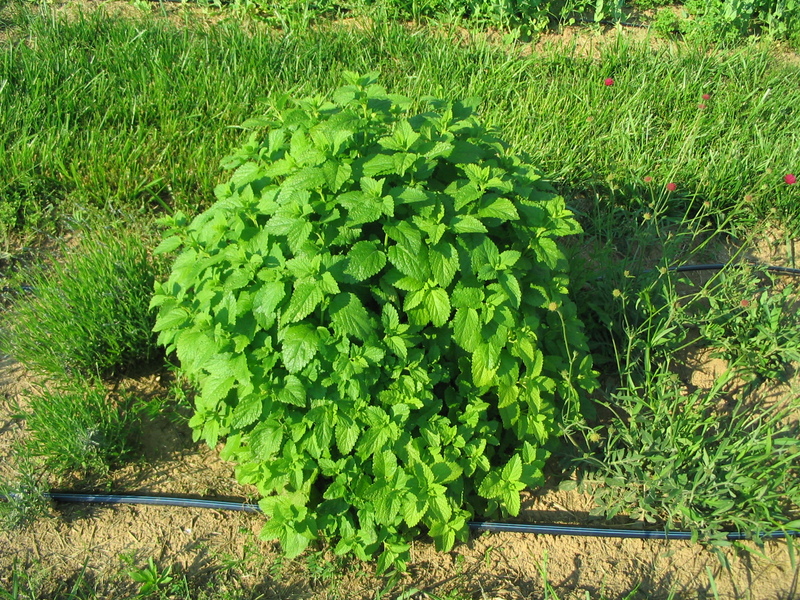 This lemon balm, and all the other established plants from last year were unfazed. 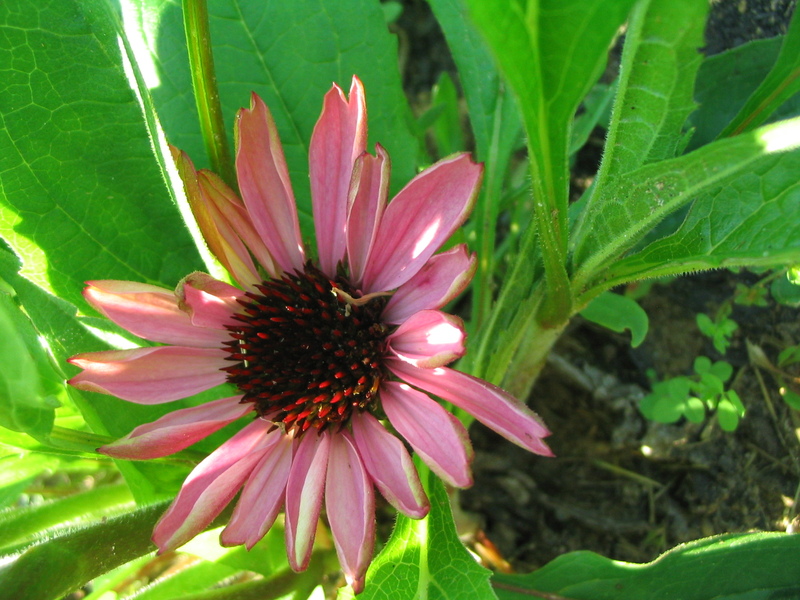 We had several flowers showing their first blooms this week: this echinacea just peeked out. 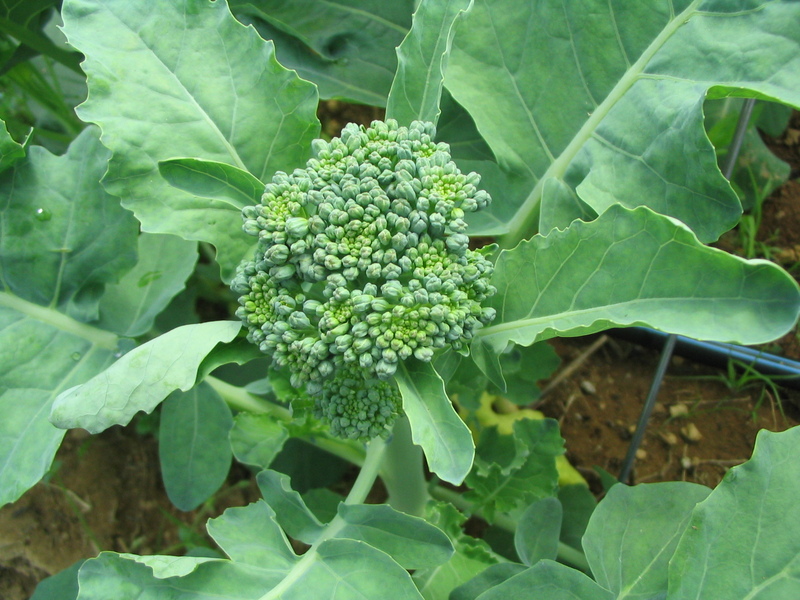 This will be our first time growing broccoli, so it is exciting to see it forming little heads. 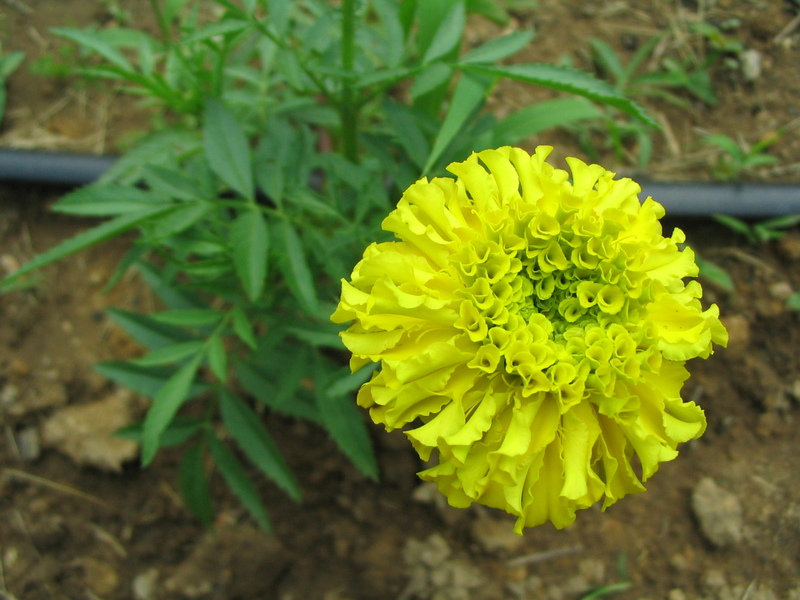 We’re growing an heirloom variety called ‘De Cicco’ which doesn’t produce big central heads, but forms lots of side shoots. We never grew broccoli in the past because we were afraid pest pressures would make it too difficult to produce without significant damage issues; so this is a trial run. Hey there Celina! Just came in from harvesting a bucket full of sugar snap peas! Yummy. I had to sample them as I was picking, to make sure they were ready… he he he.